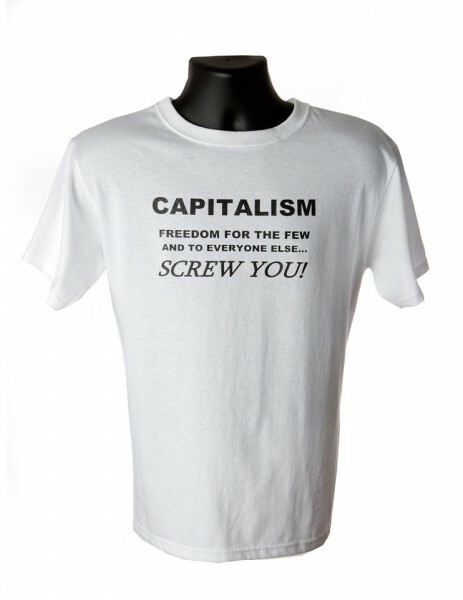 Capitalism is Freedom! 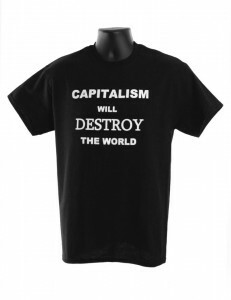 Well, for a small part of the population it is. 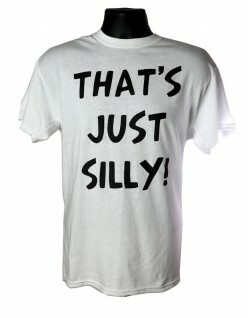 But for most everyone else… well, you know. 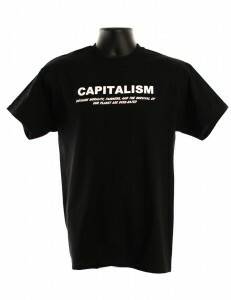 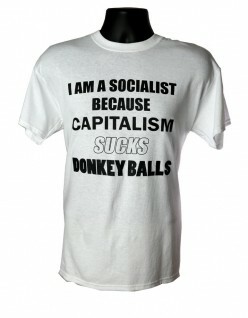 Make that clear to anyone confused about the reality of capitalism with this classy soft-spoken 100% cotton T-shirt!